Another federal government data-mining program was being used to track the phone habits of American citizens, reports this week indicate. The Drug Enforcement Administration was behind the data-collection program, which sought to gather phone records for calls between the US and nations where the drug trade is active. The program ended in September 2013. The DEA has not made clear how many call records were collected. The ACLU has filed a Freedom of Information Act request to learn more about the agency’s activities. Nearly half of cybersecurity professionals believe their organizations will be the target of a cyber attack in 2015, an IT industry group has learned. ISACA, a professional organization for IT governance workers, reports this week that more than eight in 10 of its members think cyber attacks are one of the primary threats that organizations face today. Forty-six percent expect to actually face an attack in the coming year. Cyber crime affects not just companies and government agencies but consumers and constituents, as victims of last year’s Target, Snapchat and Home Depot breaches can attest. Tens of millions of accounts were compromised by those incidents. Want to get into a colleague’s email or a spouse’s Facebook account? You can hire a hacker to do the dirty work on your behalf, the New York Times reports this week. A website called Hacker’s List – modeled after the Craigslist classified-ad portal – offers to connect hackers and people who hope to hire them. The site will hold a customer’s payment in escrow until his or her job is done, but it’s not actually breaking any laws in doing so, legal experts tell the Times. Yet by making hacking expertise more accessible, Hacker’s List provides yet another reason to carefully safeguard one’s privacy on the web. 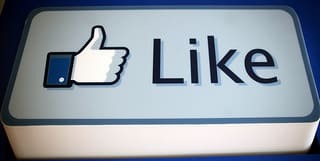 Your Facebook ‘Likes’ reveal much more than you might expect about your personality, university researchers say. Based on people’s ‘Like’ information – the average person has ‘Liked’ 227 things on Facebook – the researchers developed a computer model that could predict some fundamental personality traits with startling accuracy. The model is more accurate than a person’s colleagues or friends in predicting his or her personality; only spouses performed better, in fact. The research could be used by companies assessing job applicants, TIME suggests – potentially raising concerns about just how private a person’s Facebook data really is. Privacy in the conventional sense is a thing of the past, an academic warns this week at the annual World Economic Forum meeting. Seltzer and her fellow panelists suggested that, as technology continues to advance, people’s activities, interests and even genetic information will become more widely cataloged by government and industry. If this alarms you – and it should! – consider using the masking features in Blur to anonymize yourself online. Photo courtesy of .Great Grandpa & Grandma T. via photopin cc.